The conversation about customer experience as a business strategy continues to get lot’s of attention as companies struggle to figure out how to do business in a changing, consumer driven marketplace. A lot of these conversation have focused on the outward facing issues, changing marketing and sales or executing customer service in a new or improved way. These so called customer facing activities are obviously a critical part of a CX strategy but there’s a lot more. In fact I think our whole definition of “customer facing” is under attack as companies realize (or need to anyway) that a lot of activities that are not in sales, marketing or customer service are just as, if not more important to delivering experiences to customers that meet expectations. Incorrectly billing for an order, delivering the wrong item or not meeting promised delivery schedules, for example, are all outside the purview of the old line customer facing organizations, but have the potential to disrupt that desired experience. I attended and presented at the annual CRM Evolution conference last week and was drawn into these debates on CX several times. All those conversation got me thinking about the fundamentals of CX and how a strategy needs to go together. There are of course lot’s of policy decisions and even more system and technology issues to deal with. The one area that seems to be getting very little attention though, is how to deal with all the internal communication issues and organizational silos that continue to plague organizations. Collaboration as a topic has been almost worn out with maybe not so much progress in a lot of companies. There was a time when I’d probably have groaned with the rest of you when someone brought up the topic, but now, I’ve become a “believer”. Collaboration isn’t a technology discussion or a strictly process or people discussion either. It’s complex, which is why, I think, that so many companies have struggled with it for so long. CX and collaboration are natural allies as a strategy and need to be addressed together. From a CX perspective you simply can’t “fix” your customer issues without solving your internal organizational issues relating to collaboration and communication. Tying into the voice of the customer and using it to drive internal activities is powerful but only if you can share and work in concert. Having multiple channels of communication to customers as a part of your CX strategy is important, maybe even necessary, but if those voices / channels aren’t coordinated to present consistent messages they will do much more damage than good. A lot of executing on a CX strategy will take internal coordination across current organizational silos. Can you make that a reality in your current environment… do you have the right systems in place… do you incent your people to work together… and are your processes collaborative? If you can’t answer those questions positively then you will not be successful with an overall CX strategy. The biggest barrier to a collaborative workplace in most companies is compensation and incentives. 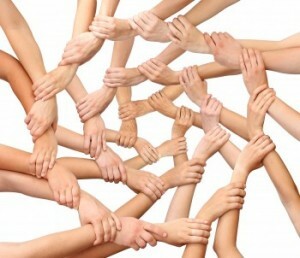 Are they aligned to create a collaborative environment or do you incent people to compete? From a system perspective externally I’d encourage you to investigate and deploy some version (depending on your own desired outcomes and strategy, industry, regulatory constraints, etc.) of a customer community. That the easiest way to capture the voice of the customer and has many other uses for your CX strategy. Here’s a post I did on that subject recently. Internally you need some form of an enterprise social network (ESN) to support your collaboration initiatives. I’ve written about that that a lot too, so won’t go back through that here. The CX – collaboration integration starts with linking your ESN to your customer community. In understanding and defining your CX strategy you need to expand your team and your concept to include those parts of the organization that have a big impact on your customer but are not today considered (in most companies at least) as customer facing. This includes finance, logistics, etc. Systematically these organizations need to be tied together too, and in a lot of legacy systems this is just hard. The ESN, especially if it’s embedded inside your other process systems, can be a big integrator for you, and help working across organizations / departments / systems. Change doesn’t just happen on its own, it has to be “implemented” and people need education in new systems and processes. They need to understand what your expectations are of them, especially when they are pulled into these new processes and strategies. Culture is hard to change and does not do so on its own nor overnight. Executives must be visible and involved. Expectations must be clear and clearly communicated. This only scratches the surface of course, there’s a lot more. Hopefully though, you will start to think about the impact of your people and the critical role collaboration has to play in any successful CX strategy.